Ben Jones lives a quiet, hardscrabble life, working as a trucker on Route 117, a little-traveled road in a remote region of the Utah desert which serves as a haven for fugitives and others looking to hide from the world. For many of the desert's inhabitants, Ben's visits are their only contact with the outside world, and the only landmark worth noting is a once-famous roadside diner that hasn’t opened in years. Ben's routine is turned upside down when he stumbles across a beautiful woman named Claire playing a cello in an abandoned housing development. He can tell that she's fleeing something in her past — a dark secret that pushed her to the end of the earth — but despite his better judgment he is inexorably drawn to her. As Ben and Claire fall in love, specters from her past begin to resurface, with serious and life-threatening consequences not only for them both, but for others who have made this desert their sanctuary. Dangerous men come looking for her, and as they turn Route 117 upside down in their search, the long-buried secrets of those who've laid claim to this desert come to light, bringing Ben and the other locals into deadly conflict with Claire's pursuers. 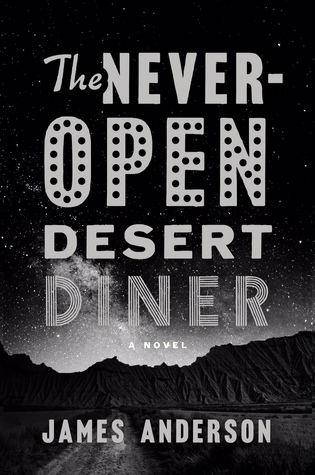 Ultimately, the answers they all seek are connected to the desert’s greatest mystery — what really happened all those years ago at the never-open desert diner? This was a quirky exploration of people with dark secrets and memorable flaws. Ben Jones is an engaging protagonist, who feels comfortable with people hiding themselves because his own history is a mystery. He was left by his Mother and raised by adopted parents, but theorizes he is Native American and Jewish. Ben makes light of the bizarre people he encounters while delivering packages, to people who don't keep actual mailing addresses. The peculiar characters surprised me with their motives and actions. For example a preacher who carries a huge wooden cross along the highway, and has pretend smoking breaks with Ben when he sees him. "Like most people who said they wanted change, all I wanted was enough change to keep everything the same, only better." While I enjoyed the character descriptions it was hard for me to relate to the characters or situations described. Walt is a elderly man who has endured tremendous personal tragedy, and shows affection through violence and silence, Ben has a tenuous relationship with him. Claire, Ben's love interest, is eccentric cello musician. Ben and Claire fall for each other fantastically, which I enjoyed reading about. These characters stumble upon each other early on, but the plot moves slowly and doesn't pick up steam until the last third of the book. The well described characters, unique setting and story line kept me interested, but not empathetic. I appreciated the author's inclusion of non-white main characters and illustration of why it's important not to trample on otherness. But the author wasn't able to make wonderful characters come together to form a wonderful story. "That was the thing about curiosity, especially about people: the real questions never had answers that meant anything for very long. Pretty soon you had a bunch of new questions." This isn't a book that ties up all of its loose ends, but the ending still was satisfying. The desert setting allowed the author to take advantage of the rough terrain and create fantasy in the real world seamlessly. The mystery elements only become important towards the end of the book, so I would describe this more as a character study. I enjoyed the book and was fascinated by the people described, but some things read more like filler than necessary. I would recommend this to readers who enjoy character driven contemporaries, that don't shy away from tragedy. James Anderson was born in Seattle, Washington and raised in Oregon and the Pacific Northwest. 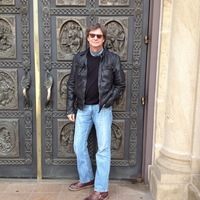 He received his undergraduate degree in American Studies from Reed College in Portland, Oregon, and his Masters Degree in Creative Writing from Pine Manor College in Boston Massachusetts. His first publication in a national magazine, a poem entitled Running It Down, occurred at age nineteen, in Poetry Northwest. The poem was later anthologized. His poems, short fiction, essays, reviews and interviews have appeared in Northwest Review, New Letters, The Bloomsbury Review, Solstice Magazine and many others. In 1974, while still an undergraduate, Anderson founded Breitenbush Books, a book publisher specializing in literature and general interest trade titles. From 1974 to 1991 Anderson served as publisher and executive editor. Breitenbush received many awards for its books, including three Western States Book Awards, juried by Robert Penn Warren, Elizabeth Hardwick, N. Scott Momaday, Jonathan Galassi, Jorie Graham, Denise Levertov, William Kittredge and others. Notable authors published include Mary Barnard, Bruce Berger, Clyde Rice, Naomi Shihab Nye, Michael Simms, William Greenway, John Stoltenberg, Sam Hamill and Gary Miranda. From 1995 to 2002 Anderson co-produced documentary films, including Tara’s Daughters, narrated by Susan Sarandon. The film, which won Best Documentary at the New York Film Festival, chronicled the plight of Tibetan women refugees as carriers of Tibetan culture in the diaspora.